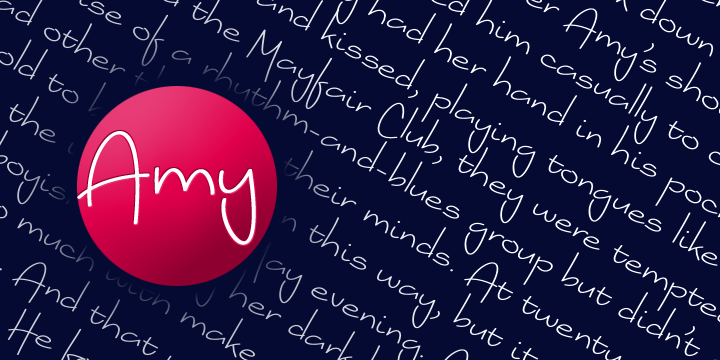 Amy is highly attractive font has been crafted from the simplest of curves. Amy is a wide hand lettered style. It circumscribes tall straight ascenders and munificently looped descenders. The capitals of the unique typeface are centred parallel to the lower case. Amy comes equipped with a handful of ligatures that facilitates copy to flow for easy reading. You would also be able to use optional proportionally spaced numerals in order to make the font highly suitable for extensive chunks of copy.